Post Matric Scholarship Scheme For OBC Students Chandigarh for the year 2018-19. The objective of the scheme is to provide financial assistance to the OBCs students studying at post matriculation or post secondary stage to enable them to complete their education. ** Students who have already received coaching in any of the preexamination training centers with financial assistance from the Government will not be eligible. Step 2 : Then Select State Schemes tab and Click on Chandigarh in the drop down list. 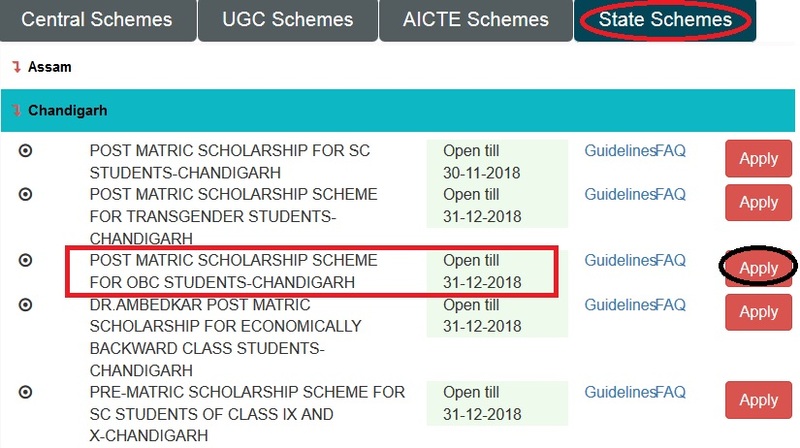 Step 3 : After that Click Apply link in the “Post-Matric Scholarship Scheme For OBC Students 2018-19” under Chandigarh. Step 7 : Enter all required details for registration to get your user id and password. 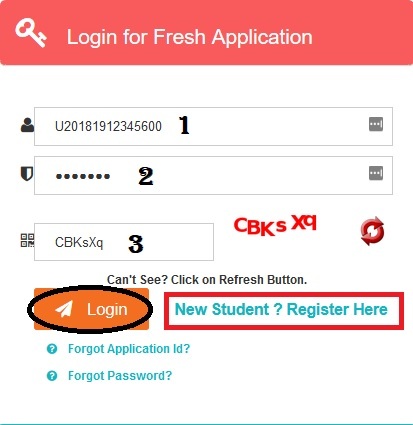 After register your account you can Login and apply the scholarship. d) A certificate (in original) of Caste signed by an authorized Revenue Officer now below the rank of tehsildar. e) An income declaration by the parents/ guardians, stating definite income from all sources. f) A receipt in acknowledgement of the scholarship in the previous year on the form attached to the application only duly countersigned by the Head of the Institution concerned, if the applicant was in receipt of scholarship under this Scheme in the preceding year. The value of scholarship will include maintenance allowance, reader charges for blind students, reimbursement of compulsory non-refundable fees, Study Tour Charges, Thesis typing/ printing charges and book allowance for students pursuing correspondence course, for complete duration of the course.